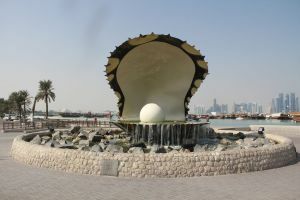 The Pearl Monument in Doha, the capital city of Qatar. 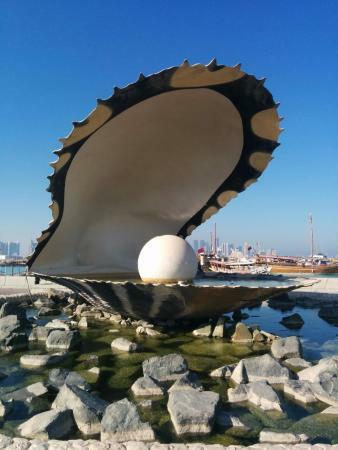 It is a beautiful oyster fountain with a gigantic pearl inside. Commemorates the past of Qatari tribes who used to fish for pearls for a living. In the background the Museum of Islamic Art.